Perfect to use for home as toothbrush holder or office usage to put pens, or paper clips in as well as usage in auto body shop to store small items. 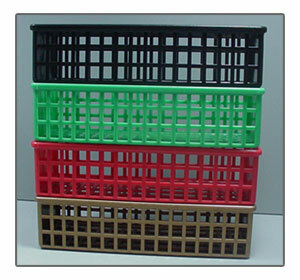 Custom Basket Colors: Call 828-464-8996 or contact us for custom basket colors. Please allow 2 to 4 weeks for delivery.